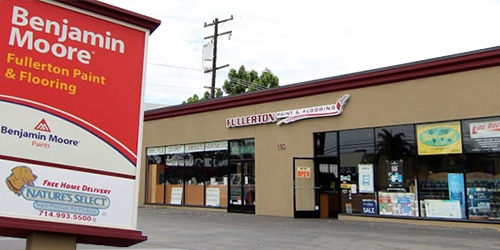 As a licensed, full service flooring company with more than 25 years of experience and thousands of satisfied clients, Fullerton Paint & Flooring is one of the best choices in Orange County for flooring sales and installation. We are a trusted supplier and installer of tile, waterproof vinyl, laminate, carpet, hardwood flooring, as well as hardwood refinishing and restoration. We also offer custom color stains and finishes, and offer flooring repair services and hardwood floor refinishing. Our pricing is always competitive, and we serve both residential and commercial clients, including but not limited to homeowners, property management firms, offices, business parks, and retailers. Experienced Staff. Competitive Prices. Quality Installations. Exceptional Results. The staff at Fullerton Paint & Flooring is exceptionally knowledgeable in all of the flooring options we offer and can be relied upon to provide expert recommendations for any surface. Selecting the right flooring to match its intended purpose is critical to ensuring years of customer satisfaction, both from an aesthetic and longevity standpoint. We may recommend porcelain or stone tile that is stylish, yet easy to clean for kitchen or bathroom interiors, or rich, burnished hardwood for a warm and inviting look in bedrooms or offices. At our showroom, you'll be able to explore hundreds of flooring options and get the guidance you need to get the floor you are envisioning. Tell us about your vision and budget, and we'll help you achieve it. We will guide you through the entire process from consultation to installation; schedule your installation at a time that works for you (making special accommodations when necessary, such as weekend or after-hours for busy offices); assist in moving furniture (unless professional movers are required); and follow the flooring industry's best practices for installation. Our prices and selection are comparable with "big box" retailers, but we typically provide faster scheduling and installation, more personalized service, and better results.